Twitter is a short message communication tool that allows you to send out tweets (messages) up to 140 characters long to followers. At the time of its SEC filing in early November 2013, Twitter had more than 232 million active monthly users, 53 million of which were in the United States. 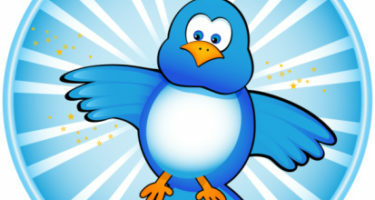 That makes Twitter a potentially powerful marketing tool — if you know how to use it. Twitter is all about discovering what’s going on right now. Promoted Trends leverage that phenomenon by giving advertisers a premium position on the page. This can yield much higher engagement rates than standard online advertising, for example, banner ads. Introduced in 1993, banners have notoriously low click-through rates, even though such advertising is still growing rapidly. Obviously, if you’re running a Promoted Trend or Promoted Tweet, it helps if you have some kind of news, product launch, or associated event. Things you can do on Twitter to boost your reputation is interact with other Twitter experts. If you’re first starting out, find someone who is popular on Twitter in your same field, or who has the same audience you do (or hope to). Then, observe how they interact with people, what they post, and how they engage others. You should also interact with them as well – tweeting at them, favoriting posts, and posting content they might find engaging. If you get noticed by this expert, you might be retweeted or mentioned, which will not only get you a whole bunch of new attention but also help build your credibility on the site. Twitter experts tend to help build each other’s popularity by interacting with one another. A bio that tells people who you are and includes a link to your company website or a landing page — and having “a consistent tone so that people clearly understand who you are and what you do. While “follow us on Twitter” messages from marketers appear ubiquitous, hashtags can be more effective. You might decide to opt for an open-ended hashtag that encourages people to add their own thoughts. A great way to both boost your business and get more followers at the same time is by offering specials only to people who follow you on Twitter. Not only will people jump at the special deals you share, but they will also want to follow you on Twitter to make sure they don’t miss any you offer in the future. Ask followers to retweet, mention or favorite your tweets — or to share content with a fresh tweet. Each business or situation will probably have a different answer. In general, you want to find the sweet spot between what your target audience wants to hear and things that promote your business. For many businesses, the answer is to focus on how your products and services benefit your customers. Be sure to share useful information and answer questions. Tweets should be grammatically correct without spelling errors (unless they are intentional, of course.) Then, you should offer facts and information that are well researched and don’t contain erroneous information.